Presenting a spacious THREE BEDROOM, SEMI DETACHED family home, with two open plan reception rooms, a modern fitted kitchen, stylish tiled bathroom and , REAR LAWN GARDEN. Set in this popular residential areas in M20 the property has cavity wall and loft insulation, Gas Central Heating and Upvc Double Glazing. 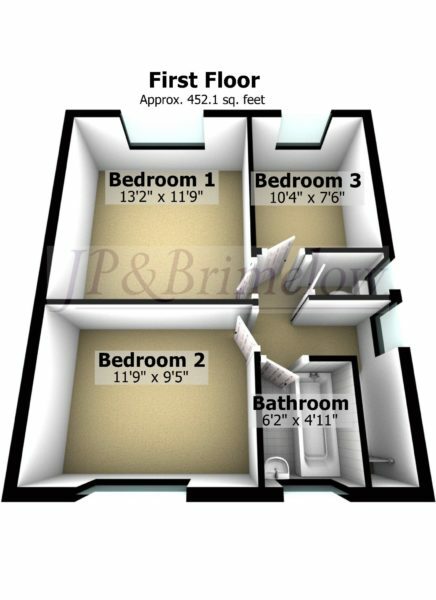 The first floor offers three double bedrooms, family bathroom and separate WC. There is both front and rear gardens and external side access. Situated close to local amenities, schools and transport links, including Withington Metrolink station and new leisure centre. Perfect for first time buyers, call JP & Brimelow, to arrange your viewing. Enter via the hardwood doorway into the entrance hallway, with under the stairway storage and access to the ground floor rooms and stairway to first floor. A spacious living area bathed in natural light from the front and rear Upvc double glazed windows, set in neutral decor with wooden style flooring, ceiling light points, power points, two wall mounted radiators. With access to bedrooms, bathroom, loft access. Rear aspect double bedroom over looking the rear garden, with neutral decor , carpeted flooring, ceiling light point, power points, wall mounted radiator. Second double bedroom to the front aspect with neutral decor , carpeted flooring, ceiling light point, power points, wall mounted radiator. Third and final double bedroom with neutral decor , carpeted flooring, ceiling light point, power points, wall mounted radiator. Partially tiled bath room with panel bath and overhead shower, pedestal hand wash basin, frosted, double glazed window.